From bariatric to metabolic surgery Looking for a disease modifier surgery for type 2 diabetes. Intragastric Balloon for Overweight Patients. Non-nutritive sweeteners review and update. FDA has received “generally recognized as safe” (GRAS) notices for many high purity glycosides and has not questioned the notifiers determinations. Is not associated with adverse effects in the general population; however, individuals may have adverse reactions. Does not affect appetite or food intake. Can cause GI side effects (bloating, diarrhea & flatulence), but tolerance may develop with continued use. Are incompletely absorbed and can cause symptomatic bloating in high quantities. May be useful for carbohydrate management by diabetics and people on low-carbohydrate diets. Have limited evidence on their metabolic effects. he following tips can help patients decrease portion sizes at home. Decrease plate size. Many people keep eating until the food on their plate is gone and then stop. Starting with less, they eat less. Pre-portion snacks. With bigger packages, people often continue eating past the recommended portion. Dividing the large package into portion-sized containers as soon as it is purchased circumvents this. Keep snacks out of sight. Keeping these items out of sight may reduce exposure to cues that activate pleasure seeking pathways in the brain. Eat whole grains and reduce foods with added sugars. Note that many patients interpret “whole grains” to include processed foods that include some whole grains but are sugar-sweetened, such as many processed breakfast cereals. Also, in a weight-loss diet, it would be best to avoid all added sugars. Cut all* synthetic trans fats and partially hydrogenated fats. Use oils to replace solid fats. Although this recommendation in MyPlate actually said to “reduce” synthetic and partially hydrogenated fats, current recommendations are to completely avoid synthetic trans fats (FDA, 2015). Eating Frequency, Food Intake, and Weight A Systematic Review of Human and Animal Experimental Studies. Frequency: The American Dietetic Association (2009) states that the daily distribution of calories should be consumed with four to five meals and snacks. However, in several studies, this approach failed to aid in weight loss or prevent weight gain (Kulovitz et al., 2014; Leidy, 2011). Morning Meals: Eating breakfast every day may affect weight management by reducing appetite (AHA, 2014; Kulovitz et al., 2014). Taking in small morning meals split over time may help control appetite better (Ekmekcioglu & Youitou, 2010). Delayed Meals: Eating later in the day may contribute to weight gain, but the evidence is not consistent. In one study, eating lunch 3 hours later in the day than midday was associated with less expenditure of resting energy, decreased fasting carbohydrate oxidation, decreased glucose tolerance, and changes in the circadian rhythm (Bandin, et al., 2014). Limited evidence shows that late-night eating may lead to weight gain (ACDG, 2015). Other evidence shows that eating later in the day may have no overall effect (Ekmekcioglu & Youitou, 2010). The effect of different water immersion temperatures on post-exercise parasympathetic reactivation. 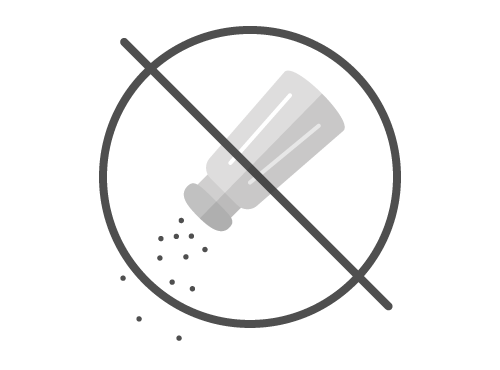 Many processed foods are problematic with respect to excess weight and general health, especially powdered mixes, foods with multiple ingredients, and foods with a long shelf-life (AND, 2014). Ingredients such as relatively large amounts of sugar and relatively less healthy fats (saturated and trans fats) contribute to weight gain. These processed foods tend to have low amounts of fiber, which reduces feelings of satiety relative to whole foods, and can lead to overeating. Unfortunately, convenience, flavoring agents, concentrated energy, and reduced cost make processed foods appealing to many people. Many processed foods have a concentrated “dose” of sugar and fats as well as small particles which leads to more rapid absorption. The resulting rapidly experienced “reward” resembles the experience of many addicting drugs (Schulte et al., 2015). This leads to overeating followed by symptoms similar to addiction, such as loss of control over consumption, continued use despite negative consequences, and an inability to cut down despite the desire to do so. Emulsifiers: Emulsifiers are commonly added to processed foods, especially those with a creamy consistency. Some, for example, carboxymethylcellulose & polysorbate-80, have produced obesity and metabolic syndrome in mice, as well as low-grade bowel inflammation (Chassaing et al., 2015). When notoperly hydrated, thirst can be confused with hunger. This can lead to over-eating and weight gain. Remaining adequately hydrated helps keep the stomach full and avoids this potential misinterpretation (Pan & Hu, 2011). Try drinking a glass of water when they feel hungry despite adequate food intake. Respond to their thirst throughout the day and not go a long time without fluid intake. Medicare Annual Wellness Visit (Jortberg, 2013)Registered Dietitian Nutritionists (RDN) can provide the Medicare Annual Wellness Visit under the direct supervision of a physician. This visit could be used to provide Medical Nutrition Therapy and Intensive Behavioral Therapy for obesity. Intensive Behavioral Therapy for Obesity (Jortberg, 2013)Intensive Behavioral Therapy for Obesity provides screening and counseling. Medicare limits this to Part B patients with Obesity (BMI of 30 or higher). Note: This can be performed by an RDN or a physician.Patients can come in up to 22 times in a 12-month period per CMS schedule. Intensive behavior therapy for obesity must be completed within the primary care setting. Therefore, the dietitian would need to be within the primary care office (benefit does not apply to dietitians outside your practice). Skipping meals or strictly limiting calories is often used to obtain quick weight loss, but this should not be sustained. Some diets involve eating just a single food type or a limited selection, which also should not be sustained. A healthy, balanced diet should be recommended. Fad diets often lead to weight cycling, with negative consequences on both mental and physical health. Weight regain is often more weight than was initially lost (USDHHS, 2013). Highly restrictive diets can be dangerous and lead to nutritional deficiencies. Claim that people lose more than 1-2 pounds per week. Claim that people lose weight without exercise or having to give up calorie-dense foods. Use ‘before’ and ‘after’ photos as proof and post testimonials from ‘real people’ or ‘experts’ who have often been paid. Suggest limiting food choices so much that nutrition is not balanced. Morbidly obese patients, in the MOMANTANA study, followed a Mediteranean diet with no calorie restrictions, but with all the other recommended lifestyle change and weekly behavioral supports. Patients lost more weight in two years than patients receiving conventional medical treatment (-11.3% vs. -1.6% of excess weight, p <0.0044) or bariatric surgery (Burguera et al, 2015). Of patients in the lifestyle change plus Mediterranean diet group, 31.4% were no longer morbidly obese after 6 months. Studies have also found that the Mediterranean diet significantly reduced the incidence of cardiovascular disease (Estruch et al., 2013), mortality, Parkinson’s disease, and Alzheimer’s (Willacy, 2013). Reduce cardiovascular and metabolic risk in overweight/obese adults (Pasiakos et al., 2015). Have an inverse association with resultant BMI and waist circumference and are positively associated with greater HDL (Pasiakos et al., 2015; Te Morenga et al., 2011). Produce cardiometabolic benefits, greater than or equal to those of low-fat, high-carbohydrate diets (Pasiakos et al., 2015; Te Morenga et al., 2011). Significantly lower weight regain during a 12 month weight loss maintenance study, in comparison to a low protein diet (Aller et al., 2014). May be better at maintaining lean body mass: This was observed during weight loss in two studies of high protein diets (Wycherley et al., 2012 – Macro %s: 35 Protein: 40 Carb: 25 Fat vs. Control 17:58:25; Tang et al., 2013 – 25 Protein:50 Carb 25 Fat vs. Control 15:60:25). However, in another study, increasing protein intake in older adults while decreasing energy intake did not preserve lean body mass, strength, or physical performance compared to controls (Batsis, et al, 2015). Strength training, in addition to sufficient protein intake, may be needed to preserve muscle mass. In other research, a high protein, very low carbohydrate diets produced weight loss of around 2 lbs/week and has shown particular effectiveness in patients with metabolic syndrome, hypertriglyceridemia, and insulin resistance (Logemann, et al., 2014, Pasiakos et al., 2015). There have been fewer long-term studies regarding high protein diets compared to those for low carbohydrate diets and low fat diets. The RDA level of protein for an average sized person is around 50 g/day and would be found in: Chicken (3 ounces), two large eggs, 2 tablespoons of peanut butter, and 8 ounces of yogurt. A high protein level of 60% over RDA for an average sized person is around 80 g/day and would be found in: Chicken (5 ounces), 3 large eggs, 3 tablespoons of peanut butter, 12 ounces of yogurt. When an individual increases protein, they usually also change their fat and carbohydrate intake and potentially their caloric intake as well. A high protein, low carbohydrate diet has been shown to lower cardiometabolic risk as a result of reduced blood pressure, and improve glycemic regulation and blood lipids (Pasiakos et al., 2015; Wycherley et al., 2012). How much of the effect is from the increased protein and how much is from the lower carbohydrate content is not very clear at this point. High protein (1.2 to 1.5 g/kg of ideal body weight), combined with very low carbohydrates (20 to 50 g/day), no fats outside of protein foods, and limited caloric intake (800 cal/day) is also called Protein-sparing modified fast (PSMF), which is the diet often used post-weight loss surgery, is effective at producing rapid weight loss of 1 to 3 kg per week while maintaining lean muscle mass (Chang et al, 2014). One popular diet that is high protein and low carbohydrate is the “Paleolithic Diet” (Mayo Clinic, 2014). so-called because it is described as being more like what our ancient human ancestors consumed than what most people eat. It includes eating fresh lean meats and fish, fruits and vegetables, eggs, nuts and seeds, and olive oil and coconut oil. 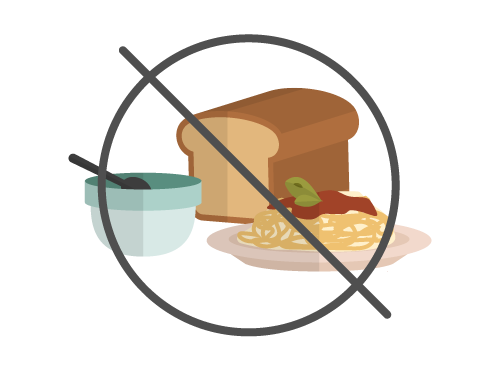 Foods that are excluded include processed foods, grains, dairy, refined vegetable oils, refined sugar, potatoes, and salt. Because the guidelines for the diet allow for a lot of variation, some people lose weight and others do not. For patients who are following this diet and not losing weight, investigating their food choices is helpful. Recommend that they be sure to consume lots of vegetables and a limited amount of fruits. Other popular high protein, low carbohydrate diets include the Atkins diet (Stanford Medicine, 2007) and the Zone diet (McDougal, 2016). The role of dietary protein intake in the prevention of sarcopenia of aging. Are associated with more weight loss and body fat loss than traditional reduced-calorie diets during the first 6 months (AND, 2009). Later produce weight loss closer to that from a simple calorie-restricted diet (AND, 2009) and superior to low fat diets by several pounds on average (Shai et al, 2008). Produce average weight loss of more than 10 kg weight after a year (Jensen et al., 2013). Are more effective than calorie restriction in reducing blood sugar (Yamada et al., 2014). Low carbohydrate has been defined as 35 to 100 grams per day for weight loss with the higher end being effective for weight maintenance (Last & Wilson, 2006). 90 grams is around 20% of most people’s energy intake. The amount of carbohydrates to consume for weight loss varies with the individual’s size, muscle mass, and activity. A very low carbohydrate diet or ketogenic diet is around 20 gm per day and is described on the following page. Low Carbohydrate and High Fat (LCHF): This combination has been shown to be effective and surprisingly, did not produce the harmful metabolic effects that might be expected, especially in the variant with high protein, described previously. In one study, a low (1800) calorie version of this diet produced a mean weight loss of 10 lbs in 6 weeks and did not change serum lipids in an unhealthy way but did increase the size of LDL particles which are less harmful (Hays et al, 2003). In another study, women following a very low carbohydrate/high fat diet with fairly high protein (Atkins diet) lost 10 lbs on the average in a 12 month period, which was around 5 lbs more than several other commonly followed diets: very-low-fat diet (Ornish), balanced macronutrients diet (Zone), and a low-fat/high-fiber diet (LEARN) (Gardner et al, 2007). The experimental group did not experience significantly worse metabolic effects. Low Carbohydrate and High Protein: This combination is effective at weight loss, as was described in the previous section, High Protein. Type of Carbohydrate: The most important requirement in a low carbohydrate diet for weight loss is that it be low in carbohydrates, rather than focus on type of carbohydrate. The type of carbohydrate eaten is important for many aspects of health: relatively healthier carbohydrates, such as vegetables, contain fiber, important nutrients, and/or produce less risk of spikes in blood sugar. The benefits of relatively healthier carbohydrate include better cardiovascular and gastrointestinal health and better diabetes control. However, the type of carbohydrate eaten has low impact on weight loss. However, if carbohydrates are being limited, it is important to select those that are relatively higher in fiber and denser in nutrients for other health reasons. For example, maintain 5 servings of vegetables per day (Jensen et al., 2014). Glycemic Load: Glycemic load also is not as important for weight loss as low carbohydrate, although it is important to avoid spikes in blood sugar. In contrast to low carbohydrates, research has found no difference between high and low-glycemic-load diets in terms of weight loss (Jensen et al., 2014). Similarly, eating simple vs. complex carbohydrates is not as important for weight loss as eating low carbohydrates. Very-low-carbohydrate ketogenic diet v. low-fat diet for long-term weight loss a meta-analysis of randomised controlled trials. Very low carbohydrate diet (12% carbs/59% fat) consumed by overweight subjects with metabolic syndrome for 12 weeks produced significantly more weight loss and reduction in abdominal fat mass than a low fat diet (56% carbs/24% fats) (Volek et al., 2009). When compared to an ad libitum diet with an equivalent high level of protein (30%), a low carbohydrate (4%) diet-induced ketosis (not ketoacidosis) and significantly reduced hunger and appetite relative to a diet consisting of 35% carbohydrate (Johnstone et al., 2008). A review of diet comparisons studies found that very low carbohydrate diets resulted in either better or the same triglyceride levels, HDL-C, blood pressure, and insulin resistance, however, LDL-C tend to be higher (Gardner et al, 2007). A meta-analysis of ketogenic diets found that individuals on a ketogenic low carbohydrate diet were less hungry and had less desire to eat in comparison to when they were in energy balance (Gibson et al., 2014). Individuals on very low-calorie diets were also less hungry and had more feelings of fullness and satiety. Long-term weight loss can be achieved on a ketogenic diet when a healthy diet is also sustained (Bueno et al., 2013; Paoli 2014). Absolute contraindications for ketogenic diets include certain metabolic disorders such as pyruvate carboxylase deficiency, primary carnitine deficiency, and fatty acid oxidation defects (Dhamija et al., 2013). Researchers are beginning to understand some of the complex mechanisms in the gut microbiome and its role in appetite regulation. Part of this complex picture is the role of carbohydrates that resist digestion and dietary fiber. Non-digestible carbohydrates (i.e. resistant starches, dietary fiber) are fermented in the distal gut (Byrne et al., 2015), producing beneficial metabolites, which have a positive effect on body composition and reduced body weight as shown in preliminary animal research. The beneficial metabolites that are produced from bacterial fermentation of carbohydrates are short chain fatty acids (SCFAs). Consuming non-digestible carbohydrates increases SCFA concentration in the gut, which affects anorexigenic (decreased eating) signals in appetite centers of the brain (Byrne et al., 2015). The following evidence points to the mechanisms in appetite regulation. After consuming an evening meal consisting of fermentable carbohydrates (FCs), circulating peptide YY (PYY, an anorectic hormone) concentrations were increased and ghrelin concentrations (orexigenic hormone) decreased at breakfast (Byrne et al., 2015). Note that specifics of gut hormones and their actions on satiety are explained in greater detail in the Obesity Biology module. he Mediterranean diet is rich in plant-based foods and has been shown to help reduce the incidence of cardiovascular disease, mortality, Parkinsons disease and Alzheimers. Any diet that results in reduction of excess weight, is likely to benefit blood pressure. However, the Mediterranean diet uses herbs spices rather than salt and the DASH (Dietary Approaches to Stop Hypertension) Diet specifically limits sodium intake, so weight loss versions of these diets might better benefit a patient with hypertension. These specifications of lowering sodium and substituting low-sodium spices, could be added to any weight-loss diet. In the typical American diet, added fat accounts for an average for 24 to 32% of energy, which is within the current FDA recommendation of around 20 to 35% of total calories from fats and oils, primarily from the more healthy monounsaturated and polyunsaturated fats (USDA, 2015). However, some patients, like Ms. Watson, could lower their fat intake to lose weight and still fall within the current FDA guidelines. Keep in mind that low fat diets, on average, are not as effective for long term weight loss as some others, such as low carbohydrate and Mediterranean diet, but do tend to produce some weight loss (Shai et al., 2008). Fat reduction for weight loss should be limited and selective, focusing on reducing the less healthy fats. Fats contribute to feeling full and have other beneficial effects. The emphasis should be on reducing unhealthy fats, especially (manufactured) trans fats and hydrogenated or partially hydrogenated fats and the less healthy saturated fats, such as foods fried in saturated fats. Instead, maintain (or increase if needed) relatively healthy fats, like those with omega 3 fatty acids and polyunsaturated fat. American Heart Association. The American Heart Association’s Diet and Lifestyle Recommendations. . 2014; February: . Available at:http://www.heart.org/HEARTORG/GettingHealthy/NutritionCenter/HealthyEating/The-American-Heart-Associations-Diet-and-Lifestyle-Recommendations_UCM_305855_Article.jsp Accessed on: 2015-03-20. Gregor MF, Hotamisligil GS. Inflammatory mechanisms in obesity. Annu Rev Immunol. 2011; 29: 415-45. Available at:http://www.ncbi.nlm.nih.gov/pubmed/21219177 Accessed on: 2015-08-27. Harcombe Z, Baker JS, Cooper SM, et al. Evidence from randomised controlled trials did not support the introduction of dietary fat guidelines in 1977 and 1983: a systematic review and meta-analysis. Open Heart. 2015; 2: . Available at:http://openheart.bmj.com/content/2/1/e000196.full Accessed on: 2015-02-15. Jensen M, Ryan DH, Apovian CM, et al. 2013 AHA/ACC/TOS Guideline for the Management of Overweight and Obesity in Adults . Journal of the American College of Cardiology. 2014. Available at: http://circ.ahajournals.org/content/early/2013/11/11/01.cir.0000437739.71477.eeAccessed on: 2015-01-21. Kelso T. The right way to lose fat: what to eat . Breaking Muscle. 2014. Available at: http://breakingmuscle.com/nutrition/the-right-way-to-lose-fat-what-to-eat Accessed on: 2014-12-16. Samra RA . Fats and Satiety . Fat detection: taste, texture, and post ingestive effects . 2010; Chapter 15: . Available at:http://www.ncbi.nlm.nih.gov/books/NBK53550/ Accessed on: 2015-03-23. US Department of Health and Human Services, US Department of Agriculture. Dietary Guidelines for Americans 2015-2020. health.gov.December 2015. Available at: http://health.gov/dietaryguidelines/2015/guidelines/acknowledgments/ Accessed on: 2016-01-08. Wells HF, Buzby JC. Dietary assessment of major trends in U.S. food consumption, 1970-2005. ERS Report Summary . 2008. Available at:http://www.ers.usda.gov/publications/eib-economic-information-bulletin/eib33.aspx Accessed on: 2015-03-20. Yakoob MY, Shi P, Willett WC, et al. Circulating biomarkers of dairy fat and risk of incident diabetes mellitus among US men and women in two large prospective cohorts. Circulation. 2016; doi: 10.1161/CIRCULATIONAHA.115.018410: . Available at:http://circ.ahajournals.org/content/early/2016/03/22/CIRCULATIONAHA.115.018410.abstract?sid=d5affc9c-fbb1-4a44-9c29-7c53955148adAccessed on: 2016-04-19. Low-fat diets, in combination with energy reduction, produce weight loss similar to low carbohydrate diets in the short term (Jensen et al., 2014). After 2 years, however, low-carbohydrate and Mediterranean diets produce slightly more weight loss than low fat diets (Shai et al., 2008). Low fat diets are effective if they do not dip below the low end of the RDA for fat, which is 20 to 35% of calories (USDA, 2015). Lower amounts of fat can result in not feeling full, because fat aids in feelings of satiety late in the digestion process (Samra, 2010). While outcomes of specific diets vary, recommending that patients follow a healthy-fat / high-protein, low-carbohydrate diet/ high fiber diet might be a good alternative for them to achieve overall weight loss (Gardner et al., 2007). Low fat and low calorie diets plus recommended physical activity reduce factors promoting cardiovascular disease and diabetes (AND, 2009). Low fat diets with are also very low in carbohydrates can have a beneficial effect on insulin resistance (Gardner et al., 2007). Modifying dietary fats improves metabolic dysfunction and insulin resistance that arises due to inflammatory responses (Teng et al, 2014). Obesity causes a low-grade inflammatory response in metabolic tissues, such as adipose tissue, liver, muscle, pancreas, and brain (Gregor & Hotamislagil, 2011). More fat is sometimes good! Relatively higher levels of dairy fats has been associated with less weight gain (Rautiainen et al, 2016) and decreased risk of diabetes(Yakoob et al, 2016) in two major studies. Increasing foods containing linolenic acid, such as deep sea fish like salmon, may be beneficial for comorbidities, however, weight loss is more effective at reducing obesity-related inflammation. In a patient-centered, motivational approach, the provider guides the patient rather than tells the patient. These non-directive approaches differ from advice-giving (directive) by healthcare professionals. Instead, the healthcare provider recognizes the expertise of the patient on his or her own motivations. The provider is only somewhat directive as they guide the patient to examine and resolve any ambivalence about the problem (Miller & Rollnick, 2012). Guiding: A little directing is still needed in this approach, but it takes the form of facilitation and guidance. Guide patients toward being introspective, discuss certain topics that are likely to lead toward readiness for change, and resolve any ambivalence about it. Use gentle, guiding questions to direct. Non-Directive or Patient-Centered: Be non-directive or patient-centered by allowing patients to come up with their own motivations, goals, and ambivalent feelings surrounding their problem behaviors. They can even develop their own plan to resolve their problems. A directive, motivational approach may not work for every individual. Some patients may do better with more guidance. In some cultures, people may prefer to receive advice from an authority figure rather than participate in decision-making. However, the stage of acculturation varies among individuals who have moved into a culture that is new to them. Assumptions about preferences based on ethnicity or race may not be accurate for a particular individual.The same interventions work for all racial-ethnic groups. At the same time, differences in individual needs due to cultural, ethnic, and racial differences should be elicited from the patient and addressed. The use of empathy and affirmations in patient interviews is important in gaining patient connection and trust. These skills are useful in several steps of the motivational technique. DEFINITION Expressing an understanding of things as the patient feels, sees, and thinks about them (Rollnick et al., 2008). Empathy is also communicated through an expression of caring in your eyes, facial expression, tone of voice, and body language. Rationale: When people feel empathy from someone, they feel understood and validated (Rollnick et al., 2008). When patients experience empathy from a provider, they are more likely to open up to the provider and to their own experience. They will be more comfortable examining their ambivalence, for example, about making a lifestyle change to lose weight. They will also be more open to gentle challenges from the provider. DEFINITION A supportive statement made by the provider in response to what a patient has said that verifies and acknowledges the patient’s attempts to change their behavior (Miller & Rollnick, 2012). Empathy and affirmations are especially helpful early in the Engaging step. This is when you are trying to connect with the patient and gain their trust and interest in making a change. Connecting with the patient is also important later in the patient interview during the Eliciting step. This is when you guide the patient in stating their thoughts and feelings. DEFINITION Communicating that the patient’s experience or feelings are typical of many people. Rationale: “Normalizing” helps communicate to patients that they are not alone in their experience and struggles, including feelings of ambivalence and resistance to change. Normalizing helps patients understand that many people have difficulty changing their behaviors and beliefs (Westra, 2012). DEFINITION Communicating that a situation is safe or a that a positive outcome is likely. Rationale: Reassurance that other patients have succeeded despite similar difficulties or feelings of ambivalence helps patients believe that they can succeed, thus building confidence. Open-ended questions are especially helpful to achieve the Focusing step after you have engaged the patient and want to help the patient focus on the problem. But also use open-ended questions in all steps of Motivational Interviewing. Miller WR, Rollnick W. Motivational interviewing: preparing people to change. University of New Mexico. 1998. Keep in mind that many people already want to lose weight and eat healthier, but are discouraged because of past attempts and failures. So in addition to the motivation to try again, they need confidence and hope. Communicating your certainty that weight loss if possible can help build hope. DEFINITION Listening carefully to what the patient says, then summarizing or paraphrasing it. Rationale: Reflective listening shows them that you are listening and trying to understand them. It is one of the most powerful techniques for building rapport. Reflective listening also demonstrates to the patient whether the doctor accurately understands the patient’s view and gives the patient a chance to clarify your understanding. Listening carefully to the patient will help you know what is working for them and what is not. Reflections should be statements that mirror the content or emotional tone of the patient’s words. They should not be questions. Pay more attention to the patient’s statements about being willing to change and less to their talk about not changing, without ignoring their concerns regarding not changing. Occasionally reflecting emotions, especially those that are apparent but not spoken, can be a powerful motivator. Goals work best if they include several characteristics, represented by the acronym SMART: specific, measurable, achievable, relevant and time-bound. “No” Talk: When a patient resists any proposed treatment suggestions. “Sustain” Talk: When patients describe their reasons to sustain an unhealthy behavior. A patient may reject all suggestions for addressing weight problems. One possible response is to acknowledge the patient’s frustrations or statements of other emotions. Using affirmations, normalizing, reassurance, and empathy to engage the patient and to respond. These skills are used when eliciting their feelings. When engaging the patient to start a discussion of their weight, which is a sensitive topic for many people, first build rapport and ask permission to avoid setting up patient resistance. Be reassuring: Reassurance that you are not going to insist on immediate and drastic lifestyle changes — you just want to talk — may also help. Use non-threatening body language: Pay attention to your body language. Adopt open, non-authoritarian body language. For example, sit at the same level as the patient, maintain regular eye contact, keep your chest and hands open, and do not cross your legs. Be relaxed while professional — the demeanor will likely be contagious. Asking permission engages patients by getting them to “buy-in” to the process. This approach helps the patient realize the they have a say in what happens. When giving factual advice, asking patients their response to it helps engage them. Minimization of his weight problem could come from lack of awareness, denial, or resistance. Reasons for resistance or denial include not wanting to face painful criticism from self or others, frustration at failed weight attempts, or embarrassment in discussing weight with others. Keeping these reasons in mind, how would you respond to Mr. Murphy’s statement that he doesn’t think of himself as overweight, even though he is obese according to his BMI? This approach uses the Motivational Interviewing approach of “normalizing” the patient’s experience to lower their embarrassment, self-criticism, and defensiveness. This approach also asks patient permission to discuss the topic. Patients do not have to be 100% motivated or confident in their ability to change in order for change to occur. Just talking about it can help patients find motivation, gain confidence, and be more receptive to a recommendation for intensive treatment. Elicit motivational statements, that is emotions or feelings related to his or her inner motivations for making the change (Rollnick et al., 2008), by asking questions. How would your life be different if you lost weight? Reinforce motivational statements by reflecting them back to the patient, nodding, or including them in a summary (Rollnick et al., 2008). So, you would feel pretty good to know you could get back in shape. Pauses are a very powerful way to draw people out without asking questions. After making a reflective statement, pause and wait patiently. Many people will fill the pause. Helping the patient explore his or her values can stimulate motivation for change (Rollnick et al., 2008). Have the patient explore his or her ideal self — this will bring incongruities to light. What is your most important reason for losing weight? Keep in mind that motivational statements are about the patient’s motivation for change, not the doctor’s. Help the patient explore, articulate, and clarify any ambivalence he or she may have about changing their eating and exercise habits. One way ambivalence can be resolved is when a person realizes that the long-term outcome is more valuable than short term benefits (Rollnick et al., 2008; Miller & Rollnick, 2012). For example, a patient may realize that the long-term outcome of losing weight and being healthy is more valuable than the short-term pleasure of overindulging. This approach, Decisional Balancing, explores how each side has benefits and costs and helps clarify the patient’s confused thoughts and feelings. Exploring the pluses of continuing the unhealthy behavior before talking about the minuses lowers patient resistance (Rollnick et al., 2008; Miller & Rollnick, 2012). Focusing on the urgency of the problem or just talking about the benefits of change tends to increase resistance. You probably get something out of avoiding weight loss. Can you tell me about that? Highlight discrepancies in what the patient says in order to produce internal tension that can lead to change. Ambivalence comes from having conflicting goals (Rollnick et al., 2008). A patient may want the immediate satisfaction of overindulging in food, but also want the benefits of weight loss. Ambivalence, or a lack of resolve, is an obstacle to change that must be resolved (Rollnick et al., 2008). Helping a patient identify ambivalence can create internal tension, which can lead to resolution and change. It is important to understand the patient’s frame of reference (Rollnick et al., 2008) when assessing their weight and health problems. This is primarily accomplished through the basic skill of reflective listening (discussed earlier in the module). Identify barriers for the patient to making the recommended lifestyle changes or treatments, such as financial limitations, and then support the patient in brainstorming about solutions. Direct patients to interventions that are more likely to be successful in their community. For example, in many African-American communities, church-based weight-loss programs have proven effective (Kim et al., 2008). Obese patients may experience emotional and physicial discomfort if medical practices cannot accomodate their size. Waiting area chairs, exam tables, and blood pressure cuffs may not be large enough or scales may not support their weight or go high enough. Reframing is an approach that changes perspective, usually from looking on the dark side to looking on the bright side. It can help when a patient seems stuck on a negative point of view. Invite patients to look at something from a new perspective or with a new organization: one that helps them get unstuck and move toward change (Rollnick et al., 2008; Miller & Rollnick, 2012). Emphasize the positives of the new perspective while acknowledging any downfalls. It may seem like all those weight-loss diets were “failures.” But if you think about it, with each attempt, you learned something important about yourself and about what helps you live a healthy lifestyle. It sounds like you’ve had a lot of disappointments trying to lose weight. I can see why it is difficult to think about trying again. Can we work together to find something you can do now, no matter how small? The important thing is to get started in a healthy direction. When a patient describes a need to maintain current eating habits, try to discover their motivation to continue the unhealthy behavior. First, acknowledge that their feeling is valid. Then turn the patient’s “Sustain Talk” into “Change Talk” by asking questions about the opposite of their sustaining motivation. I understand your concern about risks with medications and that the pleasure of eating makes it difficult to change what you eat. On the other hand, what motivation do you have toward making some changes to lose weight? Another technique for de-escalating resistance, called “rolling with the resistance,” is to agree with the patient’s resistance rather than proposing solutions. Paradoxically, this agreement may lead to patients coming up with solutions that counter their own beliefs, which can initiate change. So, based on your past experience, you are pretty sure that failing to lose weight would be more than you can bear. Although things ended up going fairly well in the dialogue with Mr. Harris, some physicians are worried they might offend a patient and harm their relationship by bringing up a weight problem. This may or may not happen, but in the event that it does, there are some things you can do. Patients may be more concerned about other issues in their lives, that they may perceive as more important than their weight (Emmons & Rollnick, 2001). Or other issues may be preventing them from addressing their weight. The best approach, for your high blood presssure, would be both medication and weight loss, but for now we can start the medication and build toward weight loss. Even if patients are not ready to pursue weight loss, consider whether there are contributing psychosocial factors that might be addressed at this time. For example, depression or contributing medical factors, such as weight gain from medications or hypothyroidism or sleep apnea, could be the focus until the patient is ready to address weight loss. It is difficult to change your diet when you are unsure of your potential for success. Can we talk about reasons you might be feeling this way? Good choice. Asking permission to discuss weight will help build rapport. The following “trick” helps the provider assess the motivation that the patient already has. The trick is that it gets the patient to say something positive about their desire for change, even if their motivation is low. You said you have had trouble with losing weight since you stopped smoking. Many people do gain some weight, but it is possible to lose weight after quitting. Tell me more about the things in your life that are getting in the way. [Summarizing] It is, absolutely! So you are starting to think about losing weight and feeling motivated. You are heading in a good direction! There are some weight-loss programs that provide support and have been shown to make a difference for many people trying to lose weight. Can we talk about them? Ms. Benson is guided to come up with her own plan for change, which is step four and the final step of motivational interviewing. In the following dialogue, the provider elicits a plan from the patient for a limited period, from a couple of weeks up to around 90 days. The time frame depends upon her support system and when the provider will next see the patient. Tell me, what steps are you ready to take in the next month towards improving your diet and activity level? Cutting your portion sizes down sounds like a great start. Part of successful weight loss for most people is getting enough support in making the kind of lifestyle changes we’ve been talking about. How much support do you have already?